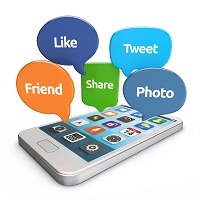 Social media plays a key factor in your digital marketing strategy for your medical practice. It helps you connect with patients, improve patient retentions, and even get better SEO results. You are making things significantly harder for your practice if you are not already on social media. That said, it is important to understand that social media is ever-changing. It is constantly evolving and adapting to new trends which can become difficult to keep up with. These are the top social media marketing trends that are completely changing how patients perceive and interact with a medical practice. Live streaming is known to get better responses than pre-recorded videos. These take the level of commitment and patient-doctor relationship to a completely new level. Social media gives you the option to live stream what you are doing without having to pre-record a video, develop it, edit it, and worry that you should start over because it was not exactly what you were looking for. You can give your patients an intimate, behind-the-scenes look at how a clinic functions. This is helpful in easing a patient’s mind and getting rid of pre-appointment anxieties. Personalized patient experiences matter in today’s digital healthcare world. You can offer your patients a natural call-to-action with this tool, as well. For instance, you can offer a promotion online for particular procedures during the holiday season while live streaming and interacting directly with patients who may have questions and comments that you can answer in real time. One of the dominant tools of social media marketing continues to be videos. If you are not already on social media platforms like Instagram and YouTube, then you are missing a huge opportunity of digital marketing. You can get in touch with numerous potential patients and referrals by being active through Instagram Stories and YouTube videos. Your best efforts should be focused on all niche video social media platforms where you can offer personalized patient experiences, which is something patients of all generations expect from their medical professionals. Video goes beyond what regular content and text cannot do. People are visual learners by habit and are much more easily impressed by what they see, rather than what they read. You can also connect with a far larger share of patient audience by recognizing the versatility and popularity of video channels. For instance, you can upload videos on YouTube regarding common medical questions that patients have. This will help you on two fronts – marketing, as well as, establishing you as an authority in your field. There are already many small ways by which augmented reality and virtual reality are making themselves known. The impact is small, but significant, and demonstrates that these markets are here to last well into the future. The more obvious markets such as Snapchat’s facial filters, among others, are likely to grow rapidly in the foreseeable future. You should take advantage of these filters to help attract more patients. Social media, like everything else on the internet, gives you a small window period to retain a patient’s attention. Augmented reality features can be a powerful tool if used in the right manner. You can personalize interaction more effectively and better adjust your social media marketing strategies when the feature becomes more prevalent across all platforms. Messenger apps are an effective tool to help patients reach out to doctors and other healthcare professionals. This can be better recognized by the ease of interaction and connection made possible by Facebook Messenger. It is important to understand that users on Facebook are not always customers looking for goods and services. However, if a potential patient lands on your clinic or practice’s page and finds something interesting they are curious about, then you can reach out to them via chatbots to answer their query or otherwise initiate a conversation. This could ultimately lead to a user becoming a recurring patient. Currently, WhatsApp, Messenger and Kik are some of the more popular messenger apps as well. Generation Z is fast entering the workforce and have the maturity to make their own medical decisions. It is best to include this audience in your target patient profile. Many medical practices have already begun offering discounts and ready information on social media websites, which are more frequented by this age group. You should create videos and develop social media content targeted especially at this age group. This is more important if your practice is in the area of preventative healthcare and cosmetic enhancements. Social media is all about connections and networking. This does not just refer to your patients, but, also peers and other influencers in the medical industry. YouTube is one of the major areas where you connect with influencers. You can identify an influencer if the video is a sponsored video with thousands of subscribers. You can promote your medical services by reaching out to these influencers because they have huge fan followings. However, this boils down to offering personalized patient experience. YouTubers become popular by developing content that relates to tons of people. These people are hesitant to trust medical care facilities which are not authentic. Hence, you need to take advantage of social engineering and encourage an influencer to promote your medical services as honest, trustworthy and something that can relate to a patient’s experience. As mentioned earlier, social media is about networking. It is also a two way communication street. You need to engage your patients and involve them any way you can to become more active on your account. This will increase your user-generated content by way of photos, videos and reviews. This is an excellent way of improving the overall patient experience. User-generated content can give a big boost to your SEO strategy as well because search engines prefer content created by unpaid followers of a healthcare business. In this technology driven market, word of mouth referrals are still considered significant. Patients do not fall for marketing tactics by sub-standard healthcare professionals anymore. This kind of content humanizes your practice and you. People do not just see your side of the story, but, recognize that what you are saying is actually true when they read other people’s review. This could be anything from your commitment to patient care, empathy or a great patient experience. Social media marketing for doctors is about improving engagement with patients, navigating them towards your medical practice, and then leaving them with the freedom to choose. You can use social media to promote your online reputation and win new patients without directly or aggressively marketing your medical services or products.